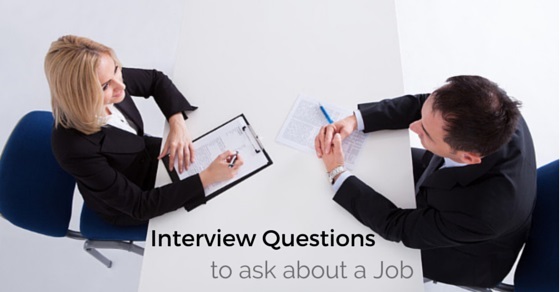 While giving a job interview, the employer judges you by firing several questions. But when you get the indication that he’s going to select you, you can confidently ask things to the employer, which you wanted to know. Asking questions will clarify all your doubts about the company and about the team whom you are going to work with. Questioning about the company and the management also shows your interest towards working with it. But too much of questions might create a feeling of hesitation to the employer, so we don’t suggest you to play a rapid fire round with him. 1. Which current project is the company working on? Ask the employer about the projects they are currently working on. This will make you identify about the kind of projects the company generally works on. Learning about the project will also give you a basic knowledge about it and you can prepare yourself to get involved in it. 2. What are the upcoming projects that need to be addressed? Also ask the employer about the upcoming projects that they’re going to work with. You can practice accordingly after learning about it and start building strategies. You can plan about your team and how you’re going to instruct them to work. This will also help you build up your leadership qualities and skills in project management. 3. Can you show me a few examples of the completed projects? Request your employer to display a few of their successful projects which are recently completed. Learning about the previous projects will give you a better idea about the company’s strategies and goals of completing the project successfully. 4. What experiences and skills are you looking for in an employee? Although you are hired because of your skills and experiences, still you can ask the employer if he is looking for any additional skills in the candidate. In case you are rejected in the interview, still you can ask this question in order to develop yourself for the next time. Learning about the required experience, will help you with personal growth and professional development. 5. Which skills are your team missing right now? Being a good employee, you should know about your team and its members. Learn about what your team is missing right now and what the things those are needed to be developed are. This will help you prepare a team building strategy and work on the ongoing projects. 6. What are the biggest challenges coming up in this position? Learn about the biggest and upcoming challenges in the position which you are hired or going to be hired in. Learning about the challenges will give you the confidence to face them with a well equipped strategy. 7. How will I be trained? Ask the employer about the training programs and sessions which you’re going to join. Learn about the program schedule and things which are to be taught in the training session. This will show how interested and motivated you are to learn something which you’re longing to acquire. Asking also indicates the employer that you are a keen learner and yearning to discover new things. 8. What are the training programs? Learn about the step by step classes and subjects in the training. For example, personality development, team building skills, project management programs, etc. 9. What would be my goals and objectives? Ask the employer about the goals and objectives that you need to complete for the current year. This would let you get ready with a strong planning. In successfully fulfilling your goals, you are likely to get a positive feedback and development in your ongoing career. 10. Can you tell me about the team and its members whom I’ll be working with? Ask the employer to introduce you to the team you’re going to work with. Knowing your team members will help you in getting engaged with them. You’ll get to know each other better and individually interacting will help you learn about their skills and qualities. 11. Who will I directly report to? Clarify to whom you will directly submit the progress reports of the team and the project. There is a concerned person in every department who takes the responsibility to handle the reports, so learn from the employer who it is. This will help you maintain a professional relationship with the concerned person. 12. Which other departments are related to this one? Learn about the related departments whom your work is related to. Know about the work process and how each of the department handle a single work. This will give you an idea about how a department and which department is responsible if the project fail or pass. 13. What is the team and company culture? The background of the company and its outlook will give you an idea about the company work culture. You can also ask about this to the employer to give him a notion that you can merge up well with the organization and your team. 14. Does your company provide lunch to all employees? Confirm whether the office will be providing you lunch or not. Also learn if they provide lunch to employees of all positions. This will prove how the company treats all their employees. Do they differentiate all workers by their status and positions or treat everyone equally? 15. Does the company organize shows and events? Shows and events are organized for entertainment purpose and they honor the most successful employees of the company in such functions. Asking this question will give you additional idea about the company. Generally, the huge profile companies organize such events and functions, so you’ll know the status of the company with this. Secondly, knowing about the rewards and honors will encourage you to work and prove yourself in a better way. 16. Does the company hold casual office parties? Office parties are quite different from functions and events. Parties are held in order to hold a casual meet up with other employees, to sit and relax and get out of your comfort zone. Any official discussions are not held in such parties. You can have dinners and drinks with other employees and have fun with them. So asking this question will let you learn more about the office culture. 17. Do you hang out with other company’s executives or departments? If the company persons go out with another organization executives or departments, then it might be susceptible. You might have the thought that there is no secrecy or the company persons don’t keep anything private. Hanging out with other company staffs also indicates that both are on a verge to merge with each other professionally or discuss work matters which are related to both the companies. This also indicates that the employer is open minded and doesn’t prefer secrecy in business. 18. Why did the company change its name? In case the company changed its name sometime ago, then you can ask this question. Learn the reason why the company preferred to shift its name from X to Y. Knowing the reason will give you a knowledge and you can share the same with your fellow workers and juniors. 19. What is the performance appraisal process? Ask him when a performance review is given and what the duration of per review is. A performance appraisal is given in order to provide a positive or negative feedback of the employee during his work term in the company. This helps the employee improve his skills and work method for the progress of the company, as well as his personal developments. 20. Why this product/project failed? In case the company holds a record of its failed products/projects, you can ask the employer the reason behind its failure. A good and honest employer would definitely state the reason behind the downfall of the project. This will give you an appropriate idea about the do’s and Don’ts of project management. 21. What should be my pay scale? This question would be unpleasant if you ask it at the beginning of all the other questions. Asking about your salary at the beginning would indicate the employer that you’re working only for more good amount of money. So after learning about the company projects and work structures, you won’t hesitate to ask this at the end of the conversation. Of course, you should know about what the company’s going to pay you, after all you’re working for your livelihood. Thus, asking more and more questions does clarify your doubts and provide you better knowledge about things. And being a member of a company you should learn everything about it. Knowing about the past performances of the organization will help you understand the company background, annual turnovers and work methods of the company. Now, since you are a member of the organization, you have the right to know about your team, management and your office staff.